(26.5 cm), x, 99 (1) pp., 2 plates (pls.I-II), 11 text illustrations. 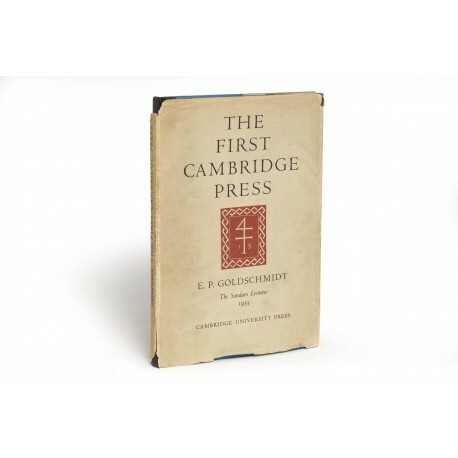 Publisher’s blue cloth, dust jacket. 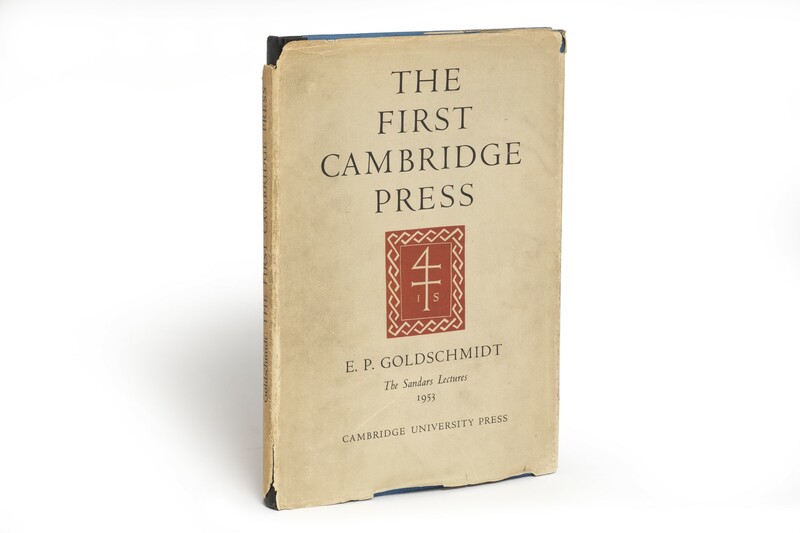 - Goldschmidt examines the books printed at the Cambridge press of John Siberch (c. 1476-1554), from the point of view of the authors and patrons who paid for them to be printed; then some presses on the Continent controlled or influenced by humanist-scholars which may have served Siberch as models. David McKitterick, The Sandars and Lyell Lectures: a checklist (New York 1983), p.25. 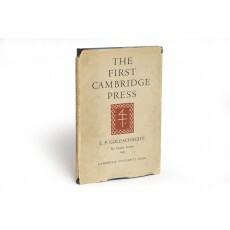 ¶ Dust jacket finger-marked and worn, with significant losses; internally, a fresh, unmarked copy.